The main glands of the endocrine system are the adrenal glands, ovaries and testicles, pancreas, pituitary gland and thyroid gland. These glands secrete hormones (chemical messengers) into the blood or lymph which have an effect on specific organs of the body. The pancreas is really two glands that are intimately mixed together into one organ. 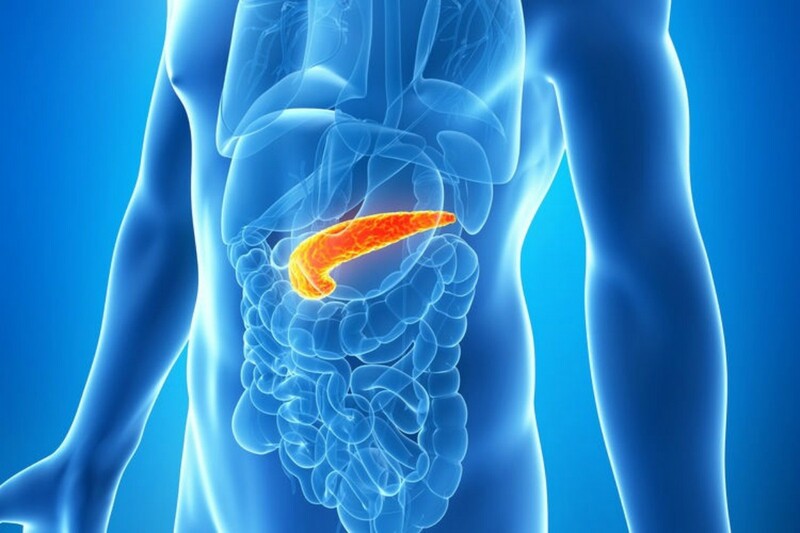 The pancreas plays a part in two different organ systems, the endocrine system and the exocrine system. The endocrine system includes all the organs which produce hormones, chemicals which are delivered via the blood to help regulate our mood, growth, metabolism and reproduction. Two of the hormones produced by the pancreas are insulin and glucagon. The exocrine system is made up of a number of glands which release substances such as sweat (to the skin), saliva (in the mouth) or, in the case of the pancreas, digestive enzymes. In type 1 diabetes, the beta cells that produce insulin are attacked by the body’s immune system. As more beta cells get killed off, the pancreas struggles to produce enough insulin to keep blood sugar levels down and the symptoms of diabetes begin to appear. In type 2 diabetes, the body builds up resistance to insulin and more insulin is needed to bring down blood glucose levels. As a result the pancreas needs to produce more insulin than it would normally need to. If the pancreas can no longer produce enough insulin to bring down sugar levels, the symptoms of diabetes will begin to appear. Type 2 diabetes comes on gradually and it can take up to years for symptoms to appear. Further development of type 2 diabetes can lead to loss of insulin producing beta cells from the pancreas which can lead to the need for insulin to be administered. Diabetes: What, How and When?